LA Holidays is a brand new express bus company with headquarter based in Kuala Lumpur. 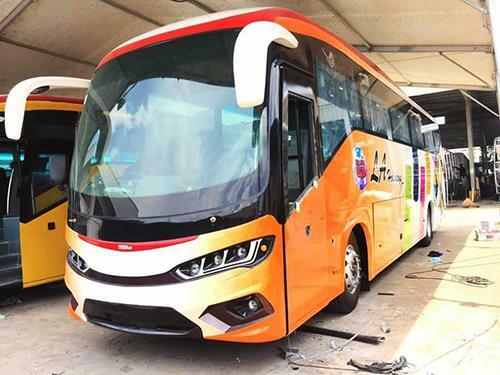 The company invest in new coach fleet under own brand that comes with Wifi service and power socket at each seat. Power socket ensures passengers have access to power supply. This is especially convenient for business travellers who require constant power charging to their mobile and laptop. Besides its own brand of express service, LA Holidays is also the partner of KKKL managing the routes of Kuala Lumpur to Singapore, Kuala Lumpur to Johor, Genting Highlands to Singapore, Genting Highlands to Johor. LA Holidays is striving to achieve higher production level to fulfill customers’ satisfaction and promise to deliver the best quality of services with reasonable prices. With their track record of excellent service in managing KKKL route KL to Singapore, passengers are comfortable in taking their services to destinations. By joining BusOnlineTicket.com, LA Holidays can now provide their online booking service for our customers. Lot 808, 8th Floor, Kompleks Selangor, Jalan Sultan, 50000 Kuala Lumpur, Malaysia.